Human recognition technology Windows Hello debuted on computers running Windows 10, allowing access to the system without having to type the password. However, Windows Hello works only if there is a special camera with a depth sensor or adapt existing camera using paid developer tools Intel RealSense. 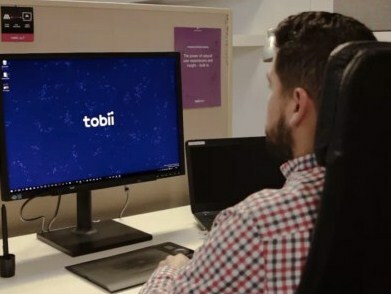 Meanwhile, the Swedish company Tobii, which develops equipment for tracking the movements of the human eye and the application of this knowledge for useful purposes, announced its own camera EyeX, which allows you to activate Windows Hello on any computer using the native Windows settings 10. Cost Tobii EyeX is $ 129. For comparison, the price of a more advanced controller Steel Series Sentry Gaming Eye Tracker is $ 271. Tobii also said it has added support for Windows Hello to your Tobii EyeChip – a special system-on-chip, which allows the camera to recognize the possibility of the owner. Thus, in the foreseeable future we are waiting for the appearance of support for the new biometric recognition function of man in a large number of devices, including tablets and laptops.